June 6, 2016 - Back in the fall, Columbia Forest Products mills in the U.S. were producing such a high-quality veneer that the company was having to ship it north to its mill in Hearst, Ont. to keep up with Canadian demand. 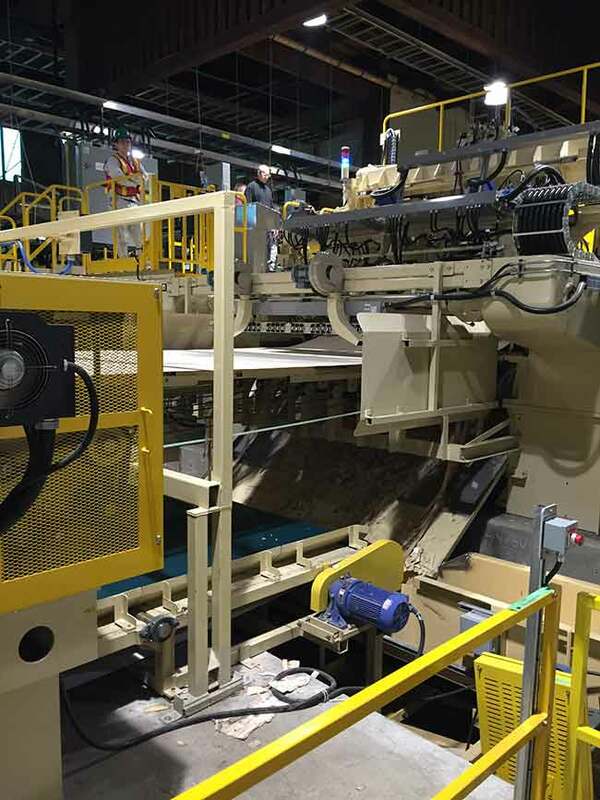 The demand was so great, that Columbia ended up investing $15 million into its production facility in Hearst to upgrade the plant’s core-peeling capabilities with the same Meinan state-of-the-art peeling technology used in its U.S. mill operations. “Now with this new lathe we don’t need to import this veneer anymore,” explains Gilles Levesque, general manager of Canadian operations at Columbia Forest Products. When asked what the main drivers behind the investment were, Levesque’s first answer was the customer. Another reason for the investment was to improve the long-term viability of the Hearst mill. When deciding how to upgrade its facilities in Canada and the U.S., Columbia flew a team of engineers and executives to Japan where Meinan peeling systems are engineered and fabricated. 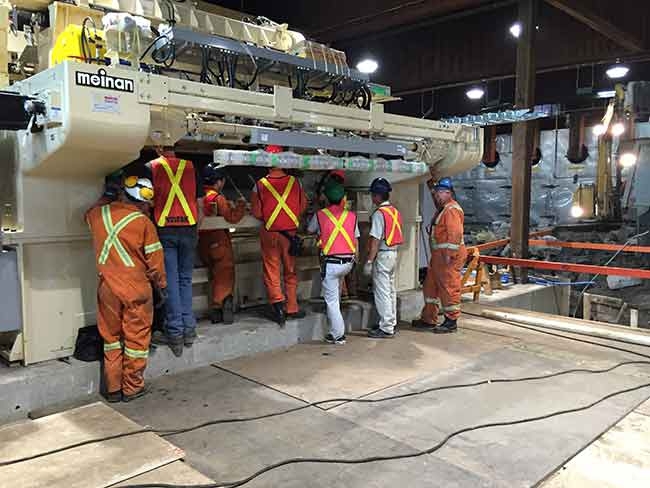 They were impressed by the attention to detail given to the Meinan system, which includes assembling, testing and disassembling the entire 200-foot-long lathe line prior to shipping it to Canada. Levesque says that the technology previously used at the facility in Hearst used about 50 per cent of the logs used in the production of wood panels. Now, about 75 per cent of the logs are used in the production process. Overall efficiencies at the plant have increased substantially since the installation of the new lathe line. One big reason for the increase in efficiencies is the quality of the veneer on the new lathe, which is the finest the mill has ever produced. Levesque says that there is potential for even better results than the company is currently experiencing from its latest investment. Good news for the 200-plus people employed at the Hearst facility and all of the loggers, truckers, and associated industry workers in the area directly or indirectly impacted by the success of the plant.